BILLBOARD MUSIC AWARDS THIS SUNDAY, MAY 2 (Columbia Records; New York, NY – May 20, 2016) –Multi-platinum-selling and five-time Grammy Award-winning musical legend Celine Dion has released her brand new single—a cover of Queen’s “The Show Must Go On,” featuring electronic violin sensation Lindsey Stirling—everywhere today, including iTunes, Spotify and Apple Music. 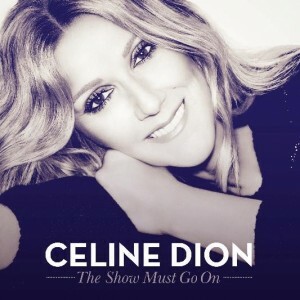 Stream/embed “The Show Must Go On” now: http://smarturl.it/SMGOstream. Dion will perform the song alongside Stirling at this weekend’s Billboard Music Awards, where she will be honored with the ICON Award. The Billboard Music Awards air live Sunday, May 22 at 8 p.m. ET/5 p.m. PT. One of the most immediately recognized, widely respected and successful performers in pop music history, Celine Dion has sold almost 250 million albums during her over 30-year career, six of which have reached Diamond status in Canada. She has earned five Grammy Awards, two Academy Awards, seven American Music Awards, 20 Juno Awards (Canada) and an astonishing 40 Felix Awards (Quebec). In 2004, Celine received the Diamond award at the World Music Awards recognizing her status as the best selling female artist of all time. In 2007 she was honored with the Legend Award at World Music Awards in recognition of her global success and outstanding contribution to the music industry. In 2013 she was awarded Canada’s highest honor, Companion of the Order of Canada. Celine continues to perform her critically-acclaimed Las Vegas residency, “Celine” at The Colosseum at Caesars Palace and will hit an epic 1,000 performances in the venue this fall.